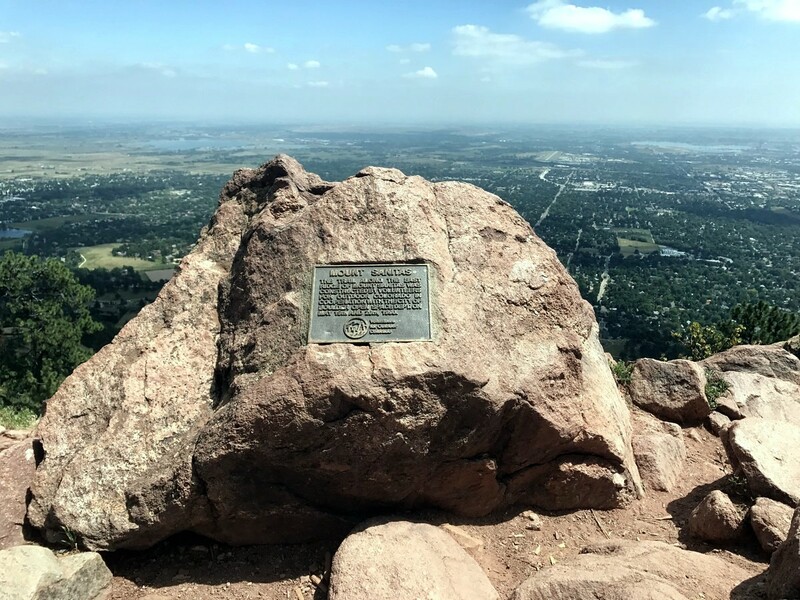 The Mount Sanitas hike is a popular route just outside of Boulder. 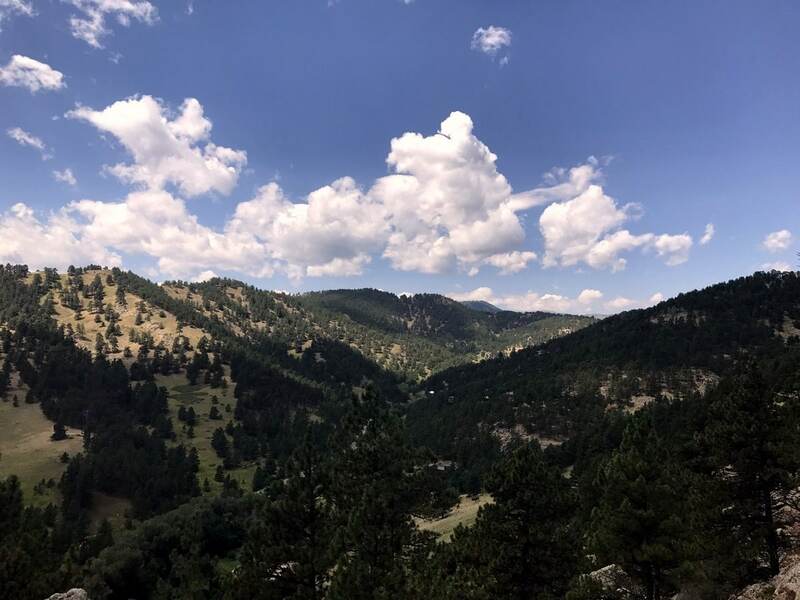 This hike takes you along a rocky ridge line with great views of Boulder Valley from the rapid (read: leg burning!) 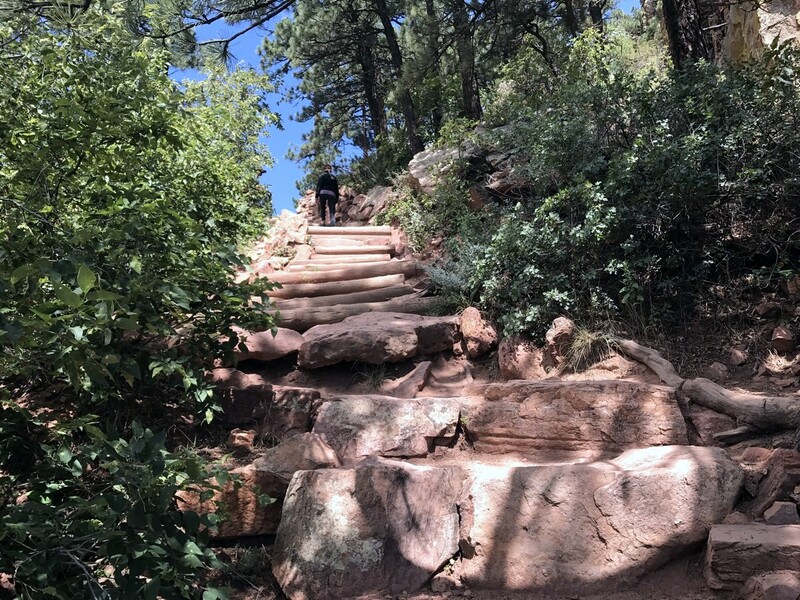 elevation gain before reaching the summit of Mt Sanitas.  Take Sunshine Canyon Dr. to Centennial Trailhead/Mount Sanitas Trailhead. 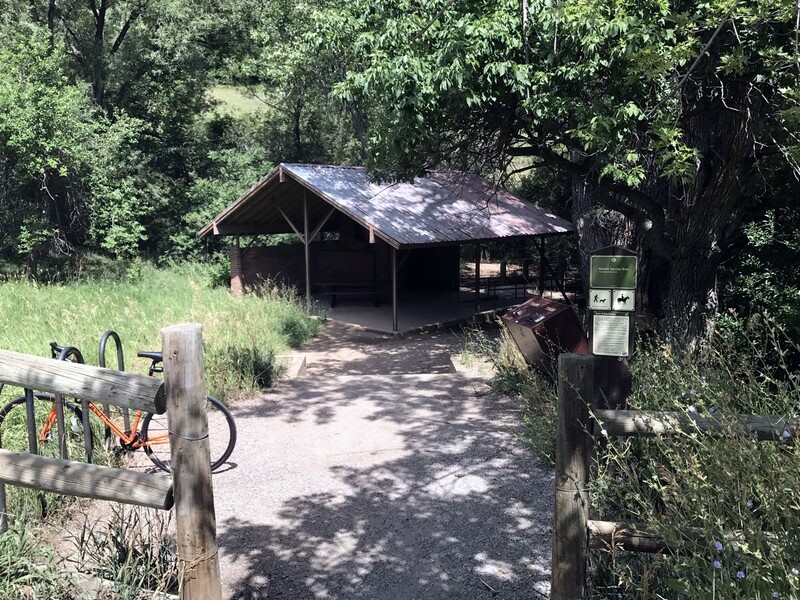 Parking lot is on the south side of Sunshine Canyon Dr.
From the Centennial Trailhead parking lot, cross the street to begin the hike up Mt. Sanitas Trail, which goes to the left, up the ridge. This steep climb starts as soon as you hit the trail, with leg burning high steps going up stairs and rocks. The Mt. 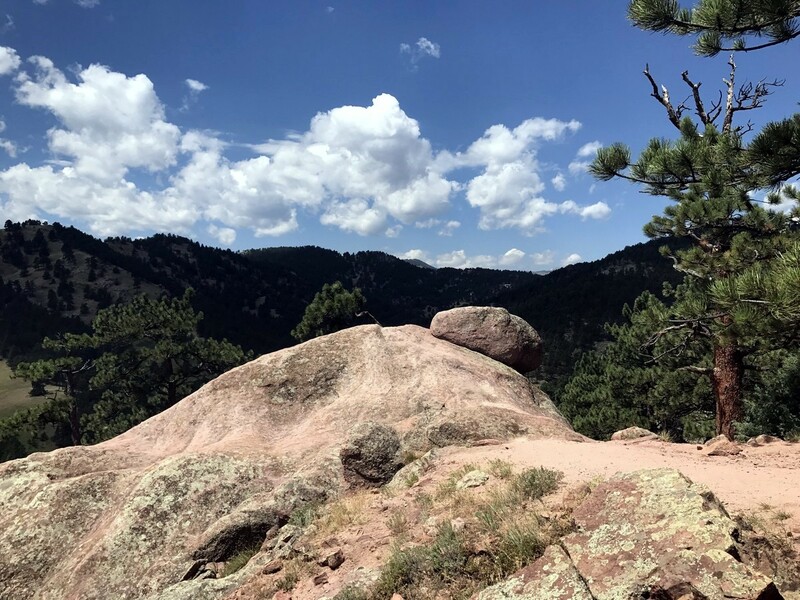 Sanitas Trail follows along a rocky ridge line which divides Sunshine Canyon with Boulder Valley. Skirting along the ridge, you hike from one side to the other as you make your way up to Mount Sanitas. There are a couple of very steep, rocky sections which will get your heart-rate up as you ascend these sections. There is nothing too technical or exposed on this hike, but just a nice cardio workout as you climb to the summit. 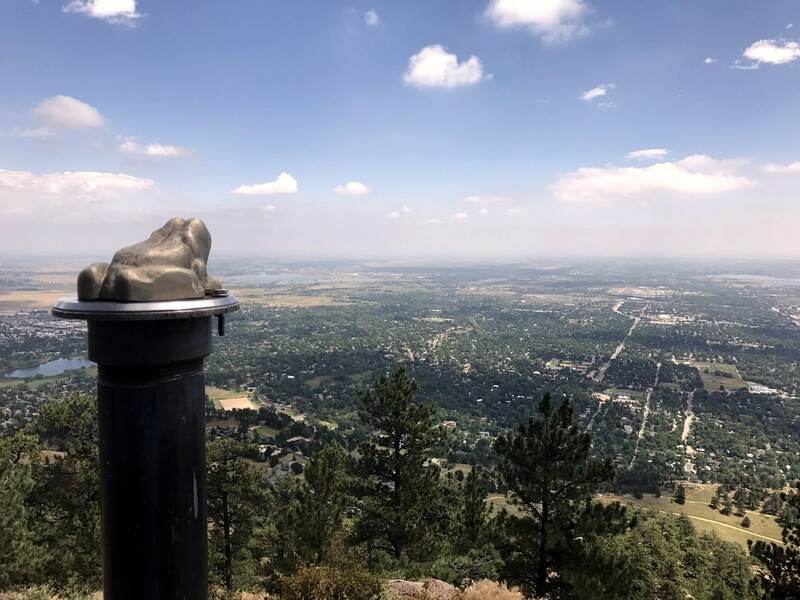 Soon you’re at the summit of Mount Sanitas (2092m). 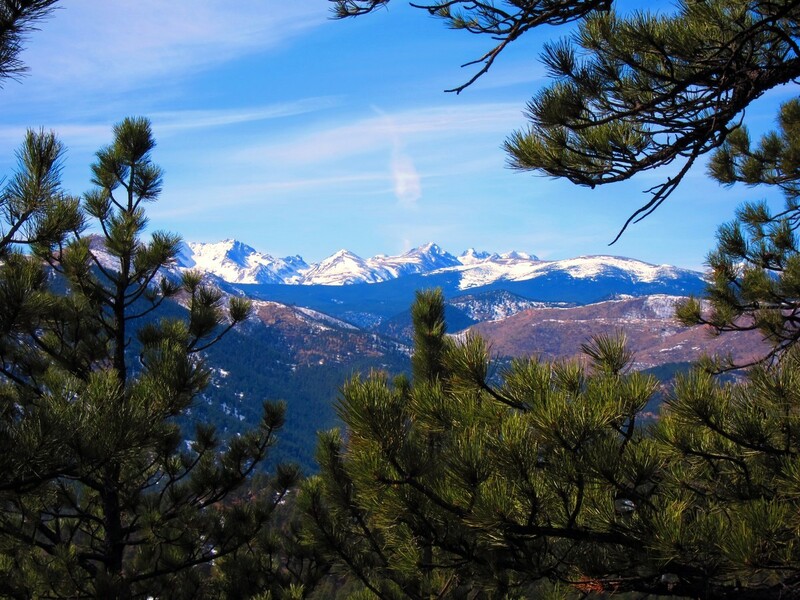 This is a great resting point that offers expansive views of Boulder Valley. If you’re adventurous, consider trying to catch sunrise from this wonderful viewpoint. 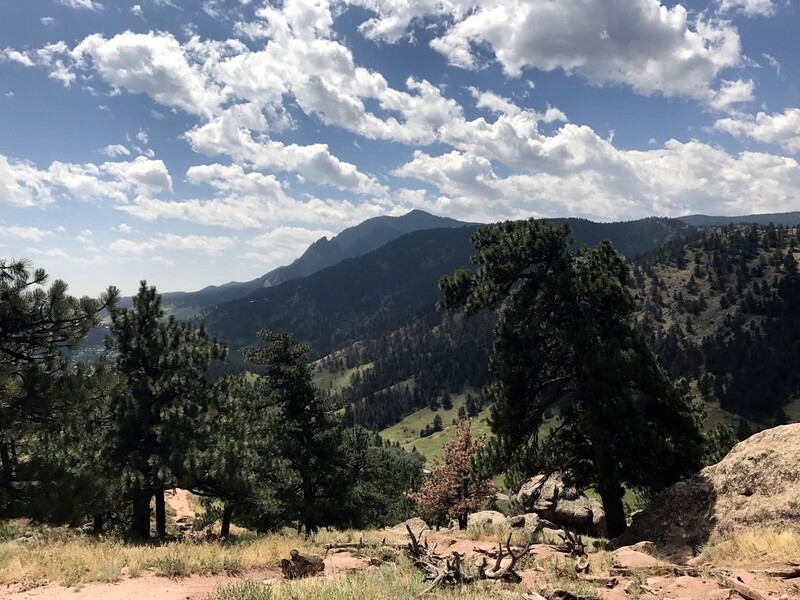 To descend, start by heading down the East Ridge Trail from the summit of Mt Sanitas. 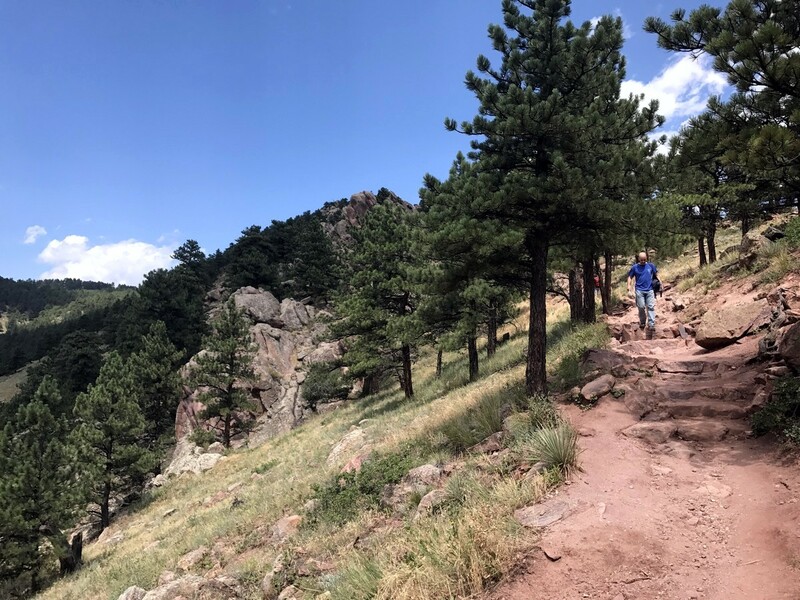 The East Ridge Trail is a short, but fun hike down and you eventually merge with the wide gravel Sanitas Valley Trail which you can take all the way back to the trailhead. 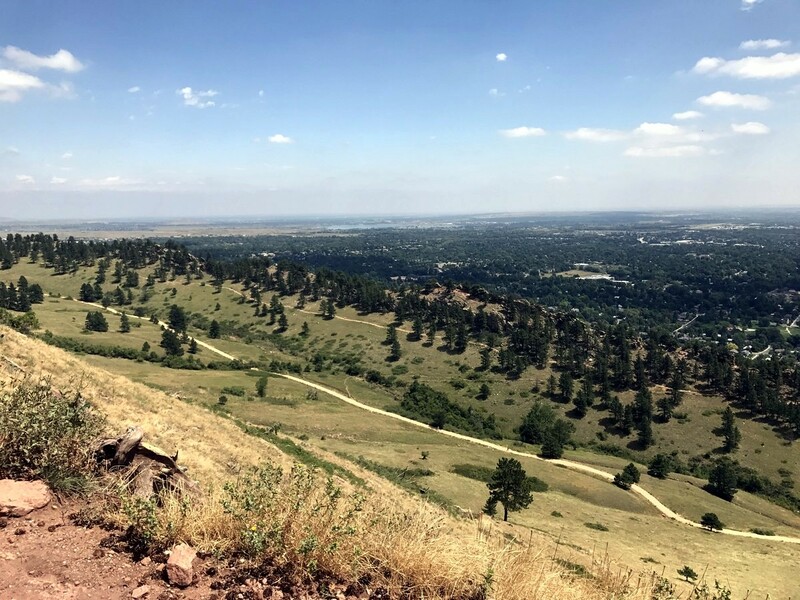 Another option (we prefer) is taking the Dakota Ridge Trail, which branches off soon after the Sanitas Valley Trail heads South. This Dakota Ridge trail offers more single track along another rocky ridge. It continues parallel to the Sanitas Valley Trail almost all the way back to the trail head. 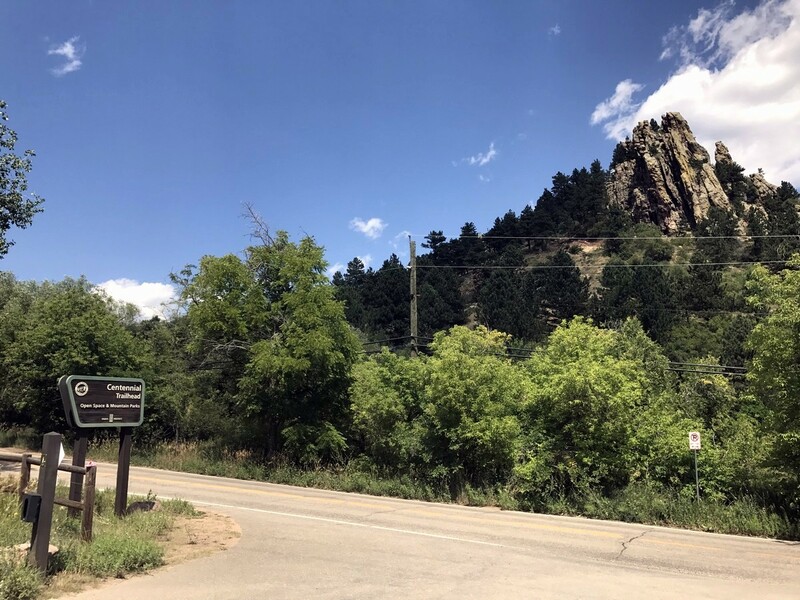 As the Dakota Ridge Trail veers left to head into Boulder, be sure to turn right to connect back to the Sanitas Valley Trail and your car! 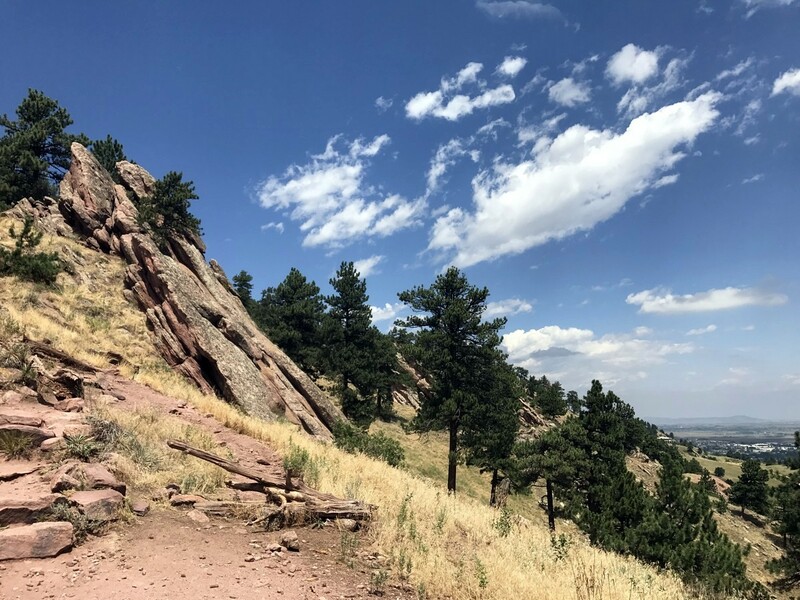 From Centennial Trailhead, you can also hike to the Boulder Red Rocks via Red Rocks Trail. 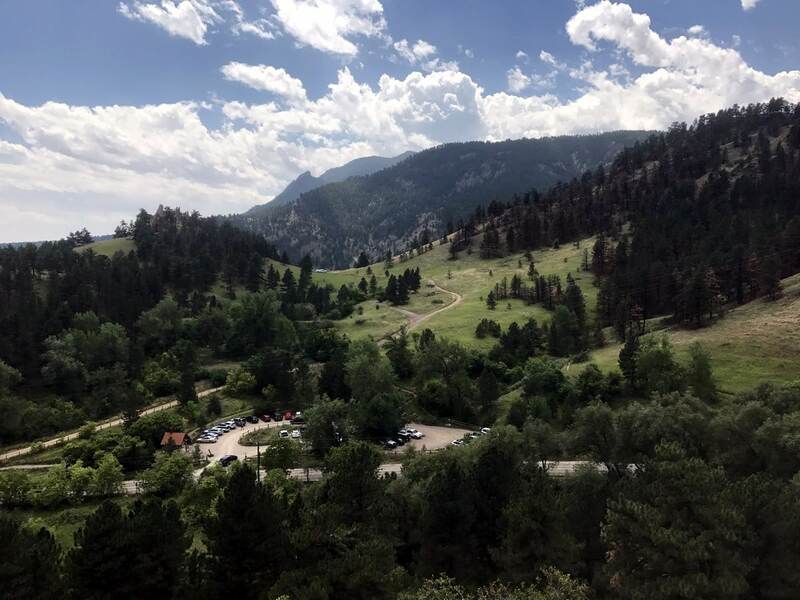 After completing this hike, swing over to Sanitas Brewing for a well-deserved drink!